The moisture analyser balance is a specific type of balance that allows for the moisture content of the sample being weighed to be analysed correctly and accuratly. 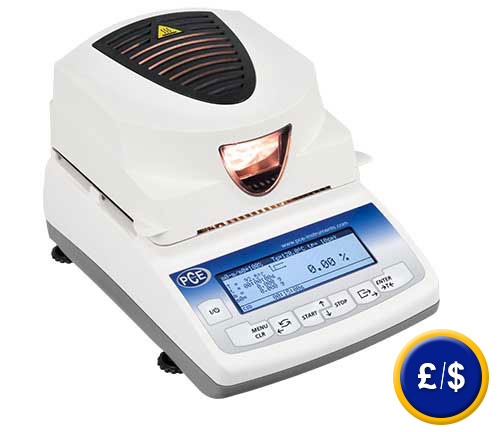 The main method the moisture analyser uses is to make use of a halogen lamp in order to heat and dry a sample until there is no moisture left within it, by doing this the moisuter analyser can compare the initial weight to that at the end of the process thereby giving the amount of moisture the original sample had, either as a percentage or as a mass. Our moisture analysers can be used to heat a sample up to 160°C and can then hold that temperature with an accuracy of +/- 1°C with this highly controllable environment a sample can be dried at a constant temperature that will allow for the quickest drying rate without damaging the sample itself. 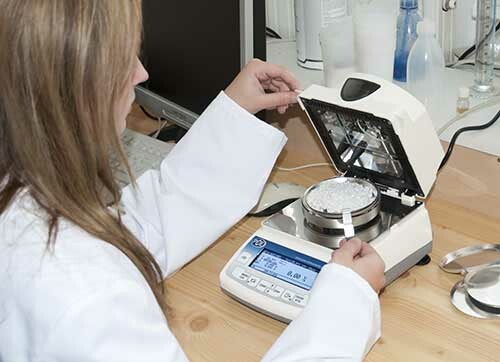 As well as being able to measure moisture our moisture analyser balances are also able to simply weigh any normal sample. Our moisture analyserscan weigh any sample up to 210 g and have a minimum accuracy of 0.01g up to 0.001g and can be used on basically any sample type ranging from food stuffs to plastics and semi-solids as well as all else beyond. You can choose between the moisture content in relation to the initial weight, in relation to the final weight or in relation to the current weight. A typical drying procedure involves choosing a drying temperature and a time interval - for example 100 degrees for 10 minutes- and a mode - % solids. 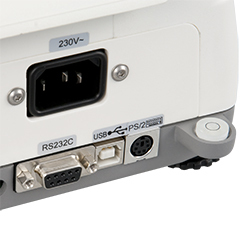 Automatic external calibration using either 100 g or 200 g calibration weight (depending on the model) guarantees ongoing accurate results. If you have further questions concerning the moisture analyser balance, please take a look at the following technical data, use our contact form or call our hotline: + 44 (0) 2380 987030. Our technicians and engineers will gladly advise you regarding the moisture analyser balance or any other products in terms of regulation and control or scales and balances by PCE Instuments. For companies that want to integrate this moisture analyser balance into their internal pool of measuring instruments or for annual recalibration. The certification according to ISO contains a calibration with an included test certificate with all measurement values. The name or the address of the firm or the data of the applicant are also registered on the report. These test weights are used only for internal recalibration and for to control the accuracy of the moisture analyser balances. 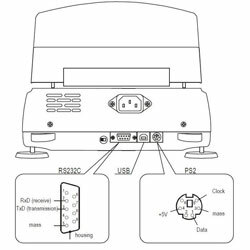 This software enables to pursue the drying of the moisture analyser balance on a PC, to make adjustments, store measurement data and provide measurement reports. 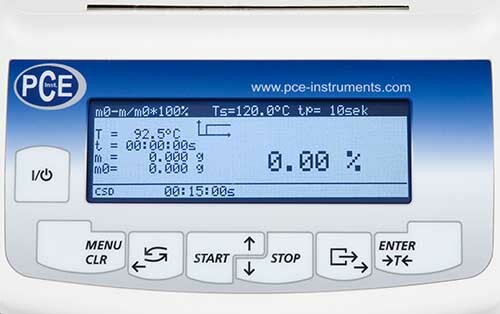 Here you will find an overview of all the scales and balances available at PCE Instruments.